Announcement Hi Ya'll! Thanks so much for stopping by - KINDLY TAKE A PEEK BELOW for our current shop announcements! We are BUSY LITTLE BEES!! Kindly email us for additional information regarding Production Time for First Round Proofs. LET'S BE FRIENDS! FOLLOW US & TAG US! 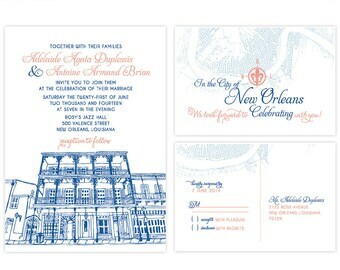 Dina Paola Designs is a boutique paperie that specializes in the design and creation of personalized fine paper goods, party supplies and digital designs that are uniquely tailored to each individual order. For customers who have sent a note or placed an order, we are so excited to be working with you! Please allow us between 24 to 48 hours to get in touch! 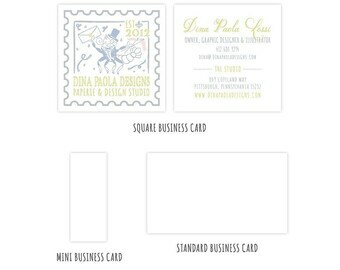 DINA PAOLA DESIGNS © 2012 - 2019. ALL RIGHTS RESERVED. Hi Ya'll! Thanks so much for stopping by - KINDLY TAKE A PEEK BELOW for our current shop announcements! Dina was so patient with all my questions and the envelopes turned out nicer than I hoped. I love this color. We will definitely be back for more~! Exactly as described. 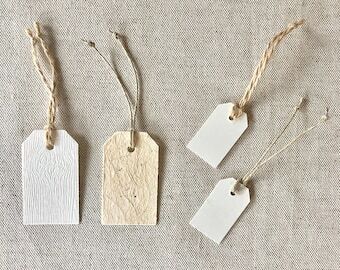 Thank you for the little tags. Exactly what I didn't know I needed! Our newly renovated beautiful studio space located in the heart of Shadyside! Hi Ya'll! My name is Dina and I'm the owner of Dina Paola Designs! It's so wonderful to have you here! To tell you a bit about myself, I'm a sassy New Orleans native who moved to Pittsburgh in the summer of 2012. Inspired by my mother, a calligrapher, fellow artist & designer, and by my flavorful New Orleanian upbringing, I decided to follow my entrepreneurial spirit & open a studio of my very own so that I might share my whimsical artwork with others! I'm a graduate of Tulane University where I received a Bachelors in Communications and a Post-Baccalaureate in Digital Design - Graphic Design & Animation. We specialize in the design and creation of personalized fine paper goods, party supplies & digital designs that are uniquely tailored to each individual order. We LOVE collaborating to create custom designs that capture the unique style of our customers and clients! 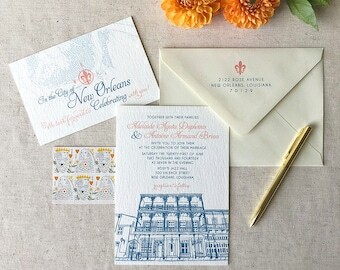 Depending on the vision, we utilize a mix of graphic design techniques, hand lettering & illustration, and painting to craft invitations, stationery, signage, decor and any other desired need or detail. Founded in 1970 by Rodger Ford, AlphaGraphics specializes in first rate Printing and Marketing Services! A small family business that's more of a small business run by a big family! After deciding to leave their jobs in corporate America for a simpler, more family oriented & earth centric lifestyle, Brock Retail was born! Brock Retail sells a variety of wood items suitable for many uses! An award-winning print company specializing in premium business, promotional & various other printed materials! Snapchat is an image messaging and multimedia mobile application created by Evan Spiegel, Bobby Murphy, and Reggie Brown, that reinvents the camera and empowers people to express themselves, live in the moment, learn about the world, and have fun together! Founded in 2010, this online printing company is passionate about providing the highest quality custom stickers, labels, magnets and packaging tape! Templett is an online design platform where creators can design editable templates for their customers to purchase and edit. Customers can then download their template in multiple formats and get it printed if they choose. Proudly Made in the USA, our vendor's Baker's Twine is eco-friendly and made of 100% cotton. With a variety of lovely eye catching colors, our vendor's mission is to encourage all creative crafters to make the world a prettier place and create some of best twine on the market! A family owned business that specializes in the design & creation of products that include self-adhesive wax seal stickers, wax seal hand stampers, flexible sealing wax, bottle dipping wax, custom printed ribbon and paper embossers. A family run and owned American online marketplace that allows designers and customers to create their own products with independent manufacturers, as well as use images from participating companies! Why Choose Dina Paola Designs? We LOVE what we do and we were born to do this! We are artists & professionals dedicated full time to serving our customers and making sure they walk away with something they love! We believe that great design should be affordable & accessible to everyone no matter their budget, and pride ourselves on being honest & ethical in our desire to always deliver original, beautiful & high quality product! What is your Average Turnaround & Shipping Time? Our Turnaround Times vary from item to item, and depends heavily on the needed artwork & production requirements and how quickly we receive a customer's order information, drafting corrections & proof approvals. We typically create a Digital First Round Proof for customers within 2 to 3 days that is sent to their Etsy Email. Once a customer has approved their Final Order Proof, their order will go into production and will be shipped out within 48 hours of being completed. Any delays due to weather, season, etc., will be posted in our Shop Announcements. Orders with any outstanding Custom Order Listings or Invoices will not be shipped until such items have been appropriately settled. OH NO! What if something went wrong with my order? It's ok - DON'T PANIC! While many of the items in our shop are Final Sale, we are ALWAYS willing to listen and see what we can do to help! We kindly ask and strongly encourage customers to please reach out to us first and give us the opportunity to try to help fix what's gone wrong. Orders with errors made by Dina Paola Designs will be fixed & replaced immediately and free of charge. Issues & Costs associated with orders not caused by Dina Paola Designs, will be evaluated & determined on a case by case basis. Do you offer Custom Artwork Services? Yes! We ABSOLUTELY do offer Custom Artwork Services! Most of the items in our shop already include options for Customization and Personalization free of charge. Information concerning what may be changed & altered can be found in the HOW TO ORDER & TURNAROUND TIME section of the desired Item Listing. Additionally, some items in our shop are listings for completely Custom Artwork Services, and we encourage customers to take a look through those to see if they might meet their needs! What is your average Pricing for Custom Artwork Services not listed? For customers who still don't see what they are looking for, pricing for Custom Artwork Services varies from request to request, and typically ranges between $15 for Small Graphics to $350 for Small Business Logo Packages. Customers interested in Custom Artwork Services should please contact us with their request. What's the Order Process like for Custom Artwork Services? Customers will receive a Digital 3 Idea Mock Up Proof from which they will choose one design to move forward with. Should a customer wish or, if needed, we offer 1 free Additional Mock Up round. Any Additional Mock Ups will be charged a small fee which varies from item to item and request to request. Once a Mock Up has been selected, customers will receive 3 free rounds of drafting to iron out the final design details. Any Additional Drafts will be charged a $5.00 per Additional Draft Fee. Do you charge Rush Fees? No! We understand that things come up and we strive to work with our clients to help them through their project needs! 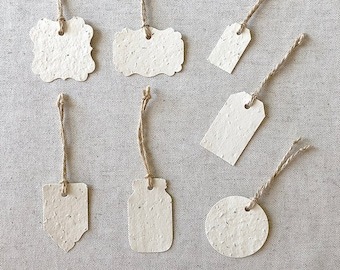 Just send us a brief note via our Etsy Shop Email and we'll see what we can do to help!